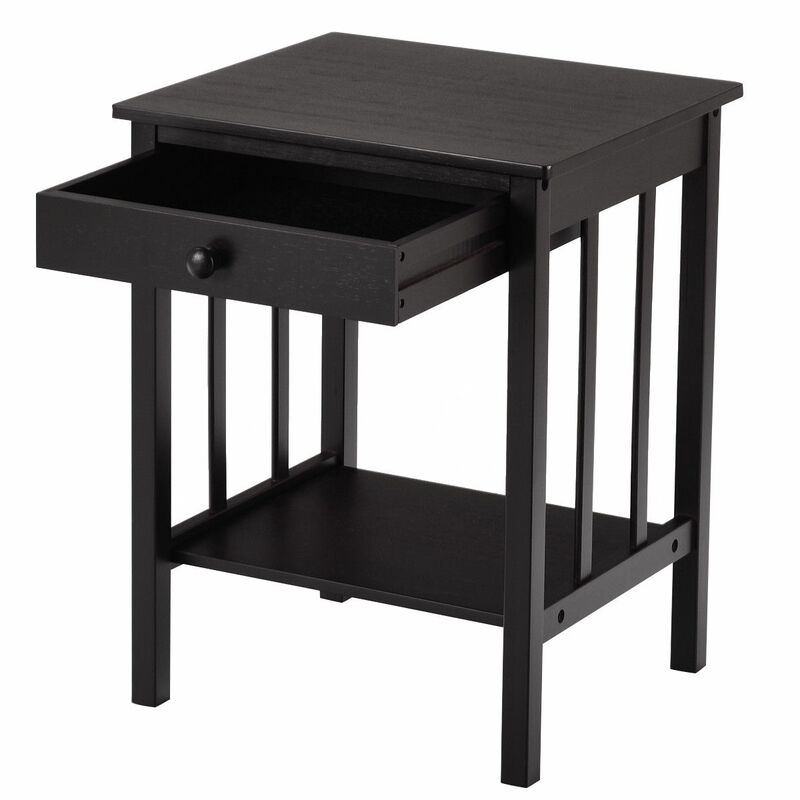 The simple but practical end table features a drawer and open shelf making it convenient to display and store your things. On the top, you can place your table lamp to read or your photo frames to decorate; on the additional lower shelf, you can place books, magazines, etc. It saves space and helps keep your room neat. Made of bamboo, the entire structure remains very solid and durable. And even more, it has 4 durable feet. which ensures stability. This side table is made of high quality bamboo which combine of clean lines design and classic dark finish, adds an air of elegance. Blend with classic and contemporary style, this side table not only conformity with your room style, but decor your room. It is ideal choice for your room. Don't hesitant to buy it! Versatile Functional satisfy different needs.